IsatDock Directional/Fixed Antenna ISD700 dual mode Inmarsat & GPS antenna, designed predominantly for land. 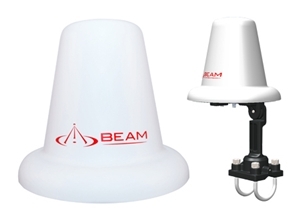 The ISD700 dual mode directional/fixed antenna is supplied with U-bolts that enables it to be securely mounted on to a pole. The directional/fixed antenna is fitted with an SMA female connector for GPS and a SMA for Inmarsat. Not for trasportation or marine applications.